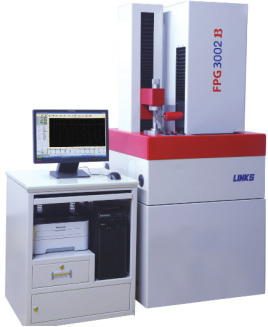 Model 3002B gear measuring machine can perform special measuring tasks of small and medium module gears and allows accurate inspections of tooth profile, helix and pitch deviations on the cylindrical gear, as well as radial runout on the gear rings. It is ideal device for workshop or inspection room in the automobiles, motorcars and electric tool industries. • High measurement accuracy and compact construction: Applying the 4-axes measuring technology, this machine is provided with high performance AC servo motors (from Japan) as the drive units. In addition, each axis is equipped with a high precision encoder. Thus the measuring accuracy is greatly improved in this full closed-loop control system. • Complete measuring software functions: The measuring items can be selected according to the workpiece to be tested. This user friendly software package provides automatic evaluation of cylindrical gears in accordance with ISO1328 --International Gear Accuracy Standard or DIN standard. The special functions in the measuring software also include evaluations of K charts for profile and lead, profile barreling Cα, and tooth crowning Cβ. • Automatic measuring cycle with convenient operation: The measuring process is fully automatically in just one set-up. This guarantees high measuring efficiency. • Clear viewing of control panel: Each moving part action of this machine is controlled via joystick or pushbuttons on the control panel. The control panel LED indicators for operating conditions (NORMAL, OVERTRAVEL) in each axis giving clear and convenient operator guidance. • Stylus collision protection: To prevent the stylus transducer from damage in case of collision. Pitch deviation (FP, fPt, fp3) and radial runout (Fr) on cylindrical external gears. Calculations of profile modification (fFu, FKo) and helix modification (fu, fo) are supported. Also available are evaluations of tooth data on gear hobs, shaping and shaving cutters and internal gears with top diameter Φ30 mm. Configured with standard software module, the gear measuring center series model 3040A is designed to measure cylindrical gears. And some optional measuring software modules are provided at extra cost, such as hob, worm gear, spur and spiral bevel gear packages etc. Compact construction of basic machine and high measuring accuracy. The Gear measuring machine is provided with rigid multi row rolling guides and 4-axis measuring systems. TESA lever type probe can be used to obtain a stable indication. Direct drive torque motor (on the spindle), high accurate AC servo motors and high precision encoders are also employed in the closed-loop feedback control system. Thus system measurement accuracy is greatly improved. Powerful measuring software functions with simple operation. The measuring item can be selected according to the workpiece to be tested. This user friendly software allows evaluation of cylindrical gears in accordance with GB10095-2008, DIN3962-1978, ISO-1328 or AGMA-200-A88 standard. 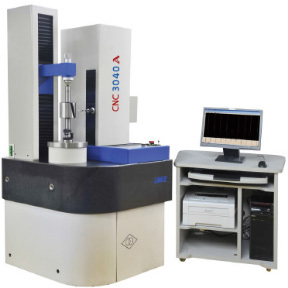 The special functions in the measuring software include tolerance bands for profile and helix testing (evaluations of K charts), profile barreling (Cα), and tooth crowning (Cβ). Fully automatic measuring cycle with high measuring efficiency and convenient operation. 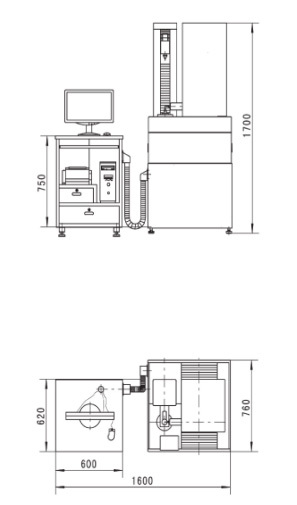 This measuring machine permits automatic checking of all test items such as profile, helix and pitch deviations and radial run out in one set up. The measuring cycle is automatically controlled. Optional and stable construction design with a marble worktable. 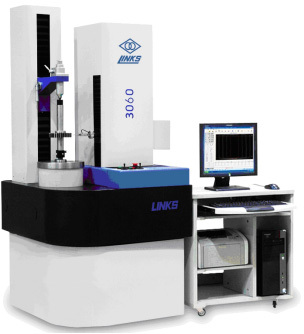 Functions of optional measuring software include evaluations of tooth data on worm-wheel hobs, linear worm-wheel, linear worm, straight bevel gears, helical bevel gears, protractor, spline as well as spiral bevel gears. • Microcomputer - 01 set. • Printer - 01 no. • Desk for Microcomputer – 01 No. • Induction GT31 (on the basic machine) - 01 no. • Imported Ball-tip Styli：Φ1, Φ2, Φ3 - 01 no. each & Φ4 - 01 no. • Ball-tip Styli：Φ0.6, Φ0.8, Φ1, Φ1.5, Φ2, Φ3 - 02 nos. each & & Φ4 - 01 no. • Stylus extension - 01 no. • Mandrels - 01 no. Configured with standard software module, the gear measuring center series model 3060A is designed to measure cylindrical gears. And some optional measuring software modules are provided at extra cost, such as hob, worm gear, spur and spiral bevel gear packages etc. control system. Thus system measurement accuracy is greatly improved. Address : #302, Bajsons Industrial Estate, Cardinal Gracious Road, Chakala, Andheri (East), Mumbai - 400 099, Maharashtra, India.